Meet Bruce Goldstein: unemployed and recently dumped, this twenty-something New Yorker had fallen into such a deep depression he needed to call his mother just to get out of bed in the morning. In the downward spiral of bipolar disorder, neither therapy nor medication could help him shake his rapid mood swings, his fear of dying, or the voice of Satan, who first visited him one sunny day in Central Park. 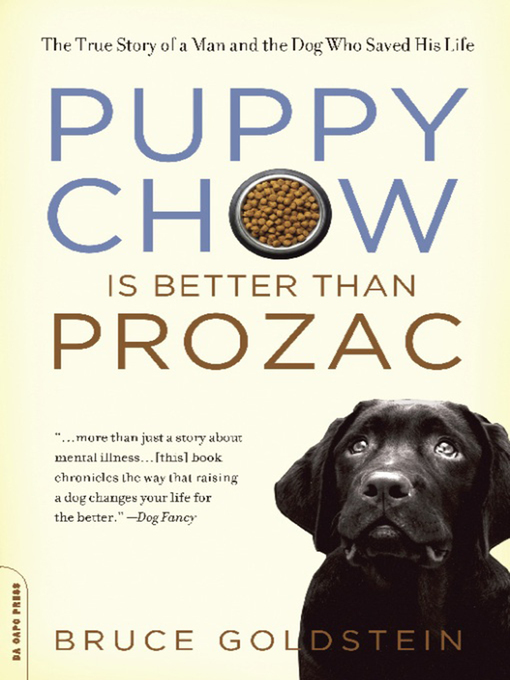 Then comes Ozzy, an exuberantly life-affirming black Lab puppy who launches Bruce on a surprising, uproarious journey of complete canine interdependence. Ozzy helps Bruce heal through the most unexpected source: the love of a good dog.